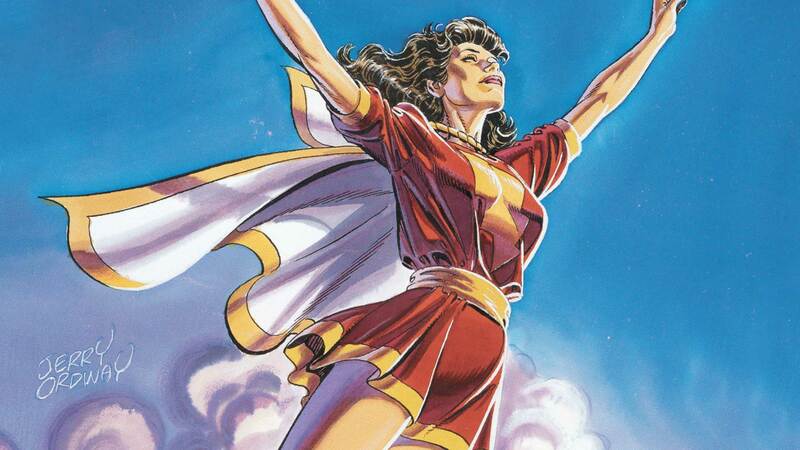 Drawing her lightning power from the same magic that powers Shazam, Mary Marvel is also known as Lady Shazam. Mary Bromfield was the long-lost twin sister of Billy Batson, also known as the heroic Shazam. Mary and her brother were orphaned as young children, and she ended up in the care of the wealthy Bromfield family. Years later, once Billy was already the heroic Captain Marvel (now known as Shazam), he finally met Mary at a contest being held at the radio station where he worked, WHIZ Radio. Not long after, Mary was kidnapped for ransom money, and was saved by Captain Marvel and Captain Marvel Jr. Wondering if she could access the powers of the wizard Shazam like her brother, she uttered the magic words, and she too transformed into a superhero and started adventuring as part of the Marvel Family.